Leading a financial institution right now can’t be much fun, what with all the financial re-structuring. And the Allied Irish Banks EGM (Extraordinary General Meeting), held on Wednesday in Dublin, proved no exception, with this AIB re-structuring speech. In the chair was Dan O’Connor; and it was his speech that got the proceedings underway. The speech was not unusual for the sector right now. Most Chairmen echo the same “mea culpa” words of Mr O’Connor. This re-structuring speech made clear just how wrong AIB had got its calculations leading up to the financial crisis of 2008. Relatively short, his speech made a series of points about the bank’s re-structuring and the re-structuring of its debts. 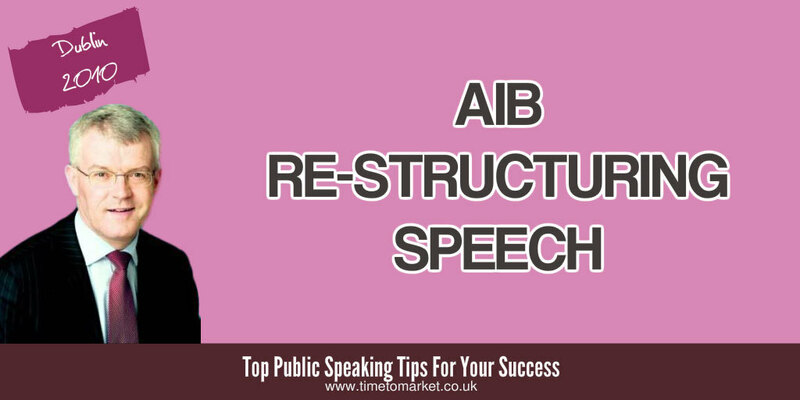 In contrast to the re-structuring exercises, the AIB speech itself lacked structure. Point followed point. Fact followed fact. And plans followed in quick succession. That was a pity, because there was plenty of substance here. However, it was a substance that needed some coherent structure. And, of course, you can make a lot more of a Chairman’s speech. Just consider the motivational speech of the ABN Amro Chairman, Gerrit Zalm. Of course, some public speaking practice would give the Chairman time to edit things. But, maybe not, on this occasion. However, this was certainly a sound technical AIB Chairman’s speech. But it was still an opportunity wasted for setting out a vision for the future of AIB. 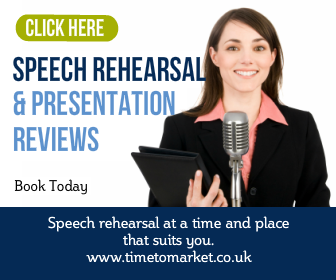 When you need to re-structure your own public speaking skills, you can always find plenty of top public speaking tips, podcasts and videos. Plus, when you need to close the deficit that bit further, then you can always consider a training course. 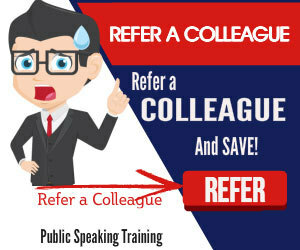 Because a well-constructed training session gives you the key skills and confidence you need. So, when the time is right, please don’t hesitate to get in touch.